​During her 14 year career at Metropolitan Family Services, Paulette developed creative campaign strategies to grow resources as the United Way Campaign Coordinator and received United Way of Metro Chicago’s first Frances Wisebart Jacobs award and their ambassador speaker of the year award. Throughout her non-profit career she has worked with both small and large non-profits, churches and schools in several areas of resource development, including special event galas raising in excess of $280,000 each and annual fund campaigns of $10K to $350K. And she has worked to successfully submit grants of $5,000 to $2.5 million. And in the past 5 years, Paulette successfully coordinated and managed events, written grants/proposals and solicited corporate sponsorships totaling more than $5 million for her clients from individuals, Fortune 500 corporations, state/federal grants; including private/corporate foundation grants--in spite of a tough economy! Josh Chartier is the Director of Guest and Volunteer Services at Naper Settlement. He oversees guest services, membership, rentals, interns, retail, IT, and a 1200 person volunteer corps. 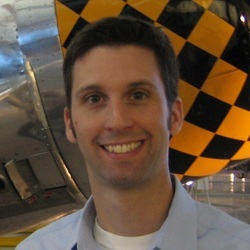 Josh has over 12 years of museum experience, most notably at the Smithsonian's National Air and Space Museum. Josh's experience includes the start-up of volunteer programs, management of large-scale events, implementing and updating database software, cultivating sponsors and other partners, and putting out fires on most days. Originally from the NYC area, Josh has worked in historic homes, children's museum, and history and science museums in New York, Connecticut, North Carolina, Washington, DC, and Illinois. He holds a Master’s in Museum sSudies from Johns Hopkins University and is the board vice president of the DuPage Association of Volunteer Administrators. I started at the Aurora YMCA as an enthusiastic member who was recruited as a volunteer for special events and to teach fitness and gymnastics. I know the value of volunteerism, and the positive impact it has on both the organization and the volunteers. I quickly came to love the YMCA and the work that it does, and decided to pursue a career in the organization. I’ve held Program Director positions at three YMCAs, and was recognized with the Illinois State YMCA Alliance “Physical Director of the Year” award, and the national Association of YMCA Professionals “Knebel Program Director” award. As the Operations Director at the Lattof YMCA in Des Plaines, I managed the program and membership departments. I also held the Training Director position for the Chicago YMCA Association for about ten years, developing and facilitating workshops for both part-time and full-time staff and for volunteers. ​Rosie Drumgoole joined the Chicago Cares staff in May of 2010 and is the Director of Ongoing Volunteer Programming. She currently manages the team that puts together all of Chicago Care’s calendar programming. Prior to coming to Chicago Cares Rosie was an AmeriCorps VISTA at the Area Agency on Aging for Suburban Cook County-AgeOptions where she provided trainings and developed easy to use resources for the seniors and senior service providers in Suburban Cook County on the topics of Medicare, Social Security, and cost saving programs. Rosie holds a B.A. in Print Journalism and Public Relations from Northern Illinois University, and has a diverse communications background. Rosie recently completed her Volunteer Administration certification and is the current chairperson for the Volunteer Connectors of Illinois. Elissa Fink is a seasoned customer service professional and administrator with experience in both the public and private sectors. She is currently working as the Staff Assistant and Volunteer Liaison at Fullersburg Woods Nature Education Center supporting the Manager of Natural Science Education and a team of naturalist educators and volunteers. 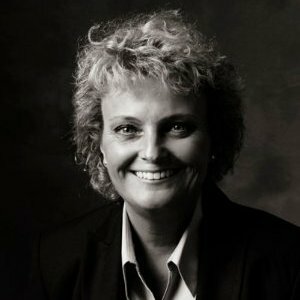 Her varied career experience includes corporate travel management, employee and volunteer management, work team management, employee and volunteer training, database management, budgeting, accounts payable, vendor and customer relations and customer service. As part of her current responsibilities, Elissa is working with staff and volunteers to update and revise the Fullersburg Woods volunteer program. Volunteering has been part of Elissa’s life since her childhood in Michigan. As a young Girl Scout she volunteered regularly providing home cleaning services to the elderly in her community and worked to clean neighborhood parks and Girl Scout campgrounds of trash and overgrowth. As an adult, she has volunteered for her children’s local Parent Teacher Organizations, and has been an adult volunteer for the Girl Scout and Cub Scout organizations. Elissa is currently serving as Treasurer for the DuPage Association of Volunteer Administrators. Now that both her children are working and in college, she enjoys spending her free time walking with friends in the many natural areas that surround her home and furthering her knowledge of Illinois flora and fauna. Elissa holds a Bachelor of Arts in Business Management from Michigan State University specializing in Tourism Management. While completing her studies at Michigan State she also studied Spanish at the University of Valencia in Valencia, Spain. ​Heather Flett earned her B.S. in Psychology and Sociology from John Carroll University, and her A.M. in Social Service Administration from the University of Chicago. Heather has been partnering with schools in Chicago for over 20 years. She founded and codirects Take Back the Halls, a service learning based youth leadership and teen dating violence prevention program in public, private, and charter schools across Chicago. She has also brought anger management, trauma, and other supportive counseling services to Chicago Public Schools across the city. As the Service Learning Institute Manager, Heather is supporting teachers in Chicago to integrate best practice service learning opportunities into their classroom curricula. ​Bailey Huffman joined AgeOptions through the Illinois Public Health Association's AmeriCorps program in September of 2013 and spent her one-year term of service working with the Take Charge of Your Health Program. She was then brought on full-time in January of 2015 and works with two programs, the Senior Medicare Patrol (SMP) and Benefits Access. She works as the volunteer specialist with the SMP program, and is involved with outreach for SNAP (food stamps) and other public benefits with the Benefits Access program. Bailey also assists clients with completing applications for public benefits. Bailey has a Bachelor's degree in Psychology from the University of Wisconsin – Milwaukee and is now pursuing her Master's degree in Social Work at Dominican University in River Forest, IL. Bailey loves cooking, has travelled a lot, and loves spending time with her three pets. ​Michael McCann provides leadership to a volunteer program that in the past year consists of over 600 volunteers completing over 10,000 hours of service within the local community. This community outreach program has won the Leading Age Illinois Community Impact Award three times (2015, 2013, and 2011) as well as the School District 54 Community Partner Award (2012). As the Lifestyles Director for Friendship Senior Options, Michael has over 20 years of providing leadership for nonprofits in all dimensions of wellness. As a transformational executive leader he uses his experience to motivate, teach and facilitate long-term personal development and well-being. Michael is currently publishing his first book, The Hidden Male, which will discuss spiritual and enrichment ideas for retired males. He has also published numerous journal articles. Michael is also on the faculty for College of DuPage as well as a contributing partner with McHenry County College, Harper and Roosevelt University teaching physical, mental and spiritual wellness. He also writes a monthly wellness blog for McKnight’s Senior Living News. Michael also serves on the Board of Directors for the National Association of Activity Professionals as Professional Development Trustee and is the current President of the Chicagoland Activity Professionals Association. A lifelong love of working with animals and people led Emily Milleville to her current position at Willowbrook Wildlife Center. After graduating with a degree in Biology she worked at the Notebaert Nature Museum before starting at Willowbrook in 2008. When she’s not trying to rescue wildlife or coordinate volunteers, she spends time gardening, hiking and promoting living organ donation (Emily is a proud kidney donor). Emily shares her home with her husband, a dog and two cats. ​Anne O’Dell has over 16 years of experience in development and program, staff and volunteer management. Currently the Executive Director of H.O.M.E. DuPage (previously known as DuPage Homeownership Center), Anne joined the H.O.M.E. team in September, 2014 as the Development Coordinator. Prior to that, Anne was at DuPage PADS, where she served as the Volunteer Coordinator - coordinating and establishing a healthy volunteer program – to meet the basic needs of the homeless in DuPage County on a daily basis was a main focus of the position. Along with the volunteer aspect, Anne played a role in many development and fundraising/special events. ​Steve Thomas loves people– and he loves seeing them thrive. He has worked in leadership development for more than 30 years. Today, he lives in Springfield, Illinois and travels the U.S. leading powerful discussions that help people and organizations grow and improve vigorously. ​Kaleena Wright is the Disaster Workforce Engagement Manager with the American Red Cross of Chicago and Northern Illinois. In her 9 year tenure with the American Red Cross, she has supported 13 separate disaster responses. Her area of expertise is the logistical coordination of people and material resources to serve those affected by disaster. Her team also works daily with volunteers, facilitating the myriad trainings involved in becoming a regular responder. She has received her Certification in Nonprofit Management (CNP) from the Nonprofit Leadership Alliance. She is an AmeriCorps alum of both the VISTA and NCCC programs and places a high value on service and community support.